After close to a week of touring Israel, my last stop was at the happening city of Tel Aviv and I was looking forward to experiencing a new vibe. Since I had been to the Negev desert before this the cool breeze here was a welcome relief. 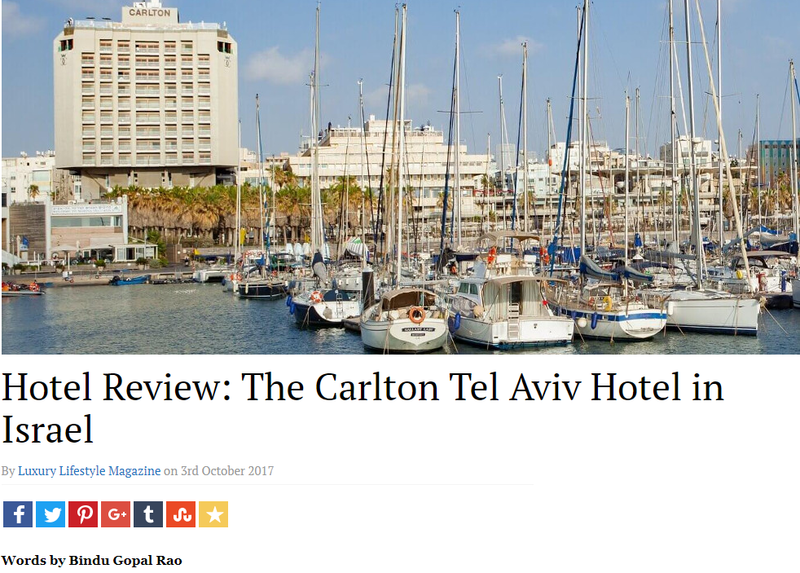 The best part was that I was staying at The Carlton Tel Aviv Hotel, a 5-star superior property, located on the shore of Tel Aviv! And yes the water of the Mediterranean Sea is simply breathtaking! The breathtakingly beautiful property that has 268 fully equipped guestrooms and suites that combine luxurious comfort and sophistication seamlessly. The rooms are contemporary and chic and have a cosy sitting area, large desk, cushions, a luxurious bathroom and a specially created Carlton scented toiletry set. I was also welcomed with a tin of chocolates in my room a special gesture that was wonderful. The rooms have a small private balcony that offers dazzling views of the city or the Mediterranean Sea. All rooms have modern amenities including a large television and wireless internet access and if you stay in the Royal Executive rooms are located on the upper floors of the hotel the sliding balcony doors merge the outdoors inside. In fact the Royal Executive guests have access to the Royal Lounge, located on the 14th floor that offers everything you need to do business in style from office services, luxurious conference room and a lavish buffet as well! The hotel also has a recently renovated banqueting floor that houses several conference halls, meeting and function rooms for corporate and private functions. Situated on the 15th floor the rooftop pool is one of its kind! Well, where else can you see the combination of the Mediterranean seas and amazing views of the city? A tranquil haven in the heart of the bustling city of Tel Aviv, this is where you can enjoy a laid-back, relaxed atmosphere and soak up the sun on a tanning bed or get cosy under an umbrella in the shade! If you want to relax a visit to the Carlton Tel Aviv Gym & Spa is a must. The spa is intimate and modern and offers uniquely relaxing packages as well as rejuvenating experiences. There are several spa treatments on offer and you can also unwind in the sauna or Turkish steam room here. Health watchers will love the state of the art gymnasium that comes with fully equipped machines including a kinesis machine and free weights. And in between relaxation and workout they also have a small healthy buffet here with snacks, herbal teas and cold drinks. 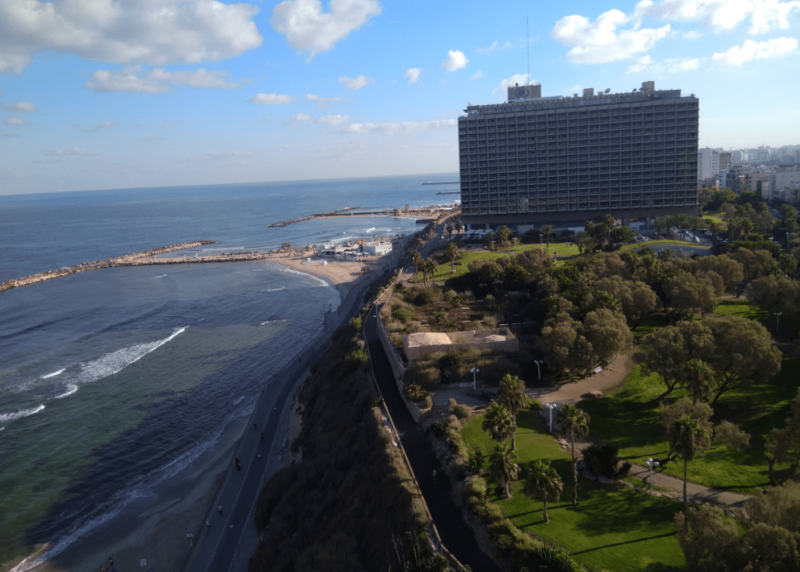 The Carlton Tel Aviv offers a wide variety of dining options including the Blue Sky by Meir Adoni run by renowned Chef Meir Adoni, located on the rooftop of the hotel, on the 15th floor, alongside the swimming pool. The menu features a sumptuous array of fish and vegetarian dishes set against the backdrop of the skyline of Tel Aviv and it is the sheer ambience here that makes for a wonderful experience. The other restaurant Lumina by Meir Adoni combines a fresh brasserie-bistro feel with innovative Jewish cuisine and has an interactive open kitchen and floor to ceiling windows that let you practically feel the sea breeze. However my most favourite place however is ‘The Carlton on the Beach’ a small building located opposite to the main hotel and takes the idea of dining and lounging to a whole new elevated level. The beautiful space seems out of a fairytale and you are welcomed by a little garden that opens into a stunning beachfront deck where you tuck into amazing food and drinks. This is where you can indulge in The Carlton’s NY Times award winning gourmet Breakfast on the Beach as you treat yourself to homemade bread and pastries, a rich variety of organic nuts, seeds and granola with a choice of natural fruit yogurt and a variety of cheeses. The white furniture offset with bright cushions and the extensive spread of food, fresh juices and local dishes while you look out into the Mediterranean sea is an experience that is superlative. The Lobby Lounge and Bar is a favourite local venue for business and social gatherings and you can pair finger foods with the bar menu. With the beach right next to the property, this is a property like no other and must be your first choice in Tel Aviv. Israel’s commercial, cultural and financial centre, Tel Aviv is a city that is buzzing with life. The city never sleeps and has beautiful tree lined walking paths, buzzing restaurants and a vibrant night life where the party goes on till the wee hours of the morning. With a waterfront that is lined with amazing eating joints, the city is also home to many UNESCO-listed Bauhaus buildings called the White town, the calm Neve Tzedek quarter and Jaffa that has an interesting Arab heritage. The Carmel Market with its long and narrow alleys has colourful stalls that sell all kinds of bakery items, olives, dried fruits and spices. 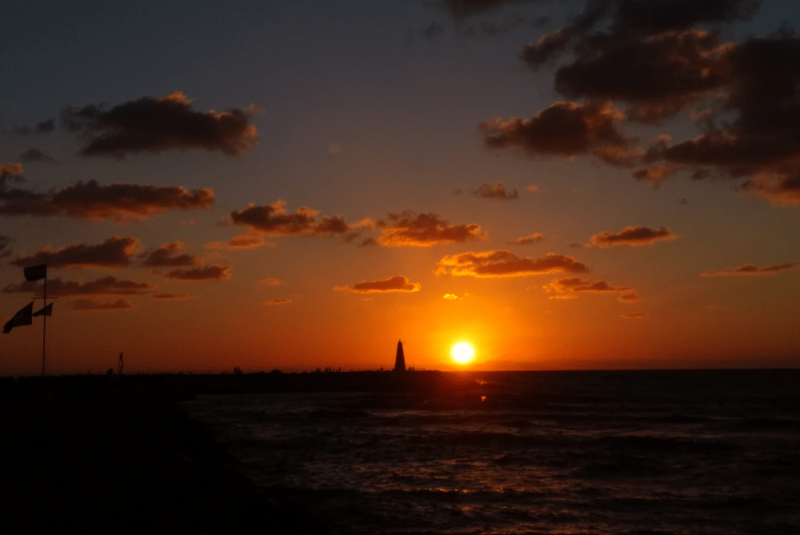 The Port in northwest Tel Aviv dates back to 1938 and has hip bars, night clubs, restaurants and coffee shops. Also visit the new Tel Aviv Museum of Art was that not just hosts visiting exhibitions but also has 100 years of Israeli art. This story appeared in the Luxury Lifestyle Magazine UK here.